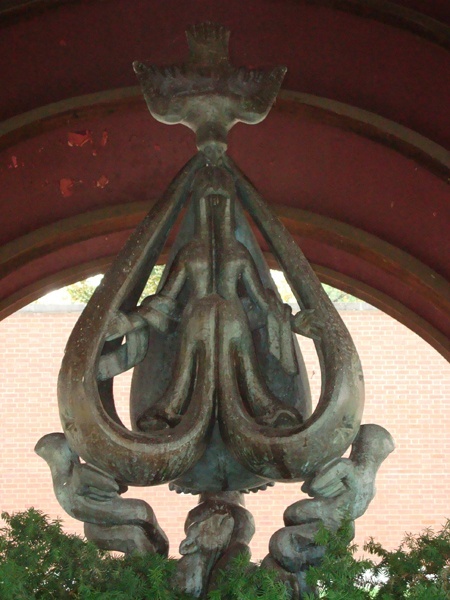 This statue, located under the dome of the Roofless Church, was created by sculptor Jacques Lipchitz. The inscription in French on the back of it, translates: “Jacob Lipchitz, Jew, faithful to the faith of his ancestors, has made this virgin for the goodwill of all mankind that the spirit might prevail”. 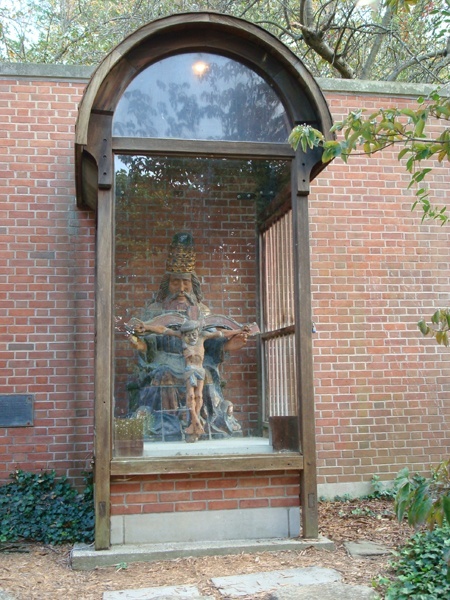 There are two other originals of the statue, one in the Roman Catholic Church of Assy, Haute Savoire, France; the other in the Presbyterian Abbey of Iona, Scotland. Enclosed in a wood and glass case at the east end of the Roofless Church, this ceramic sculpture is the work of Ewa Żygulska, sculptor and painter. 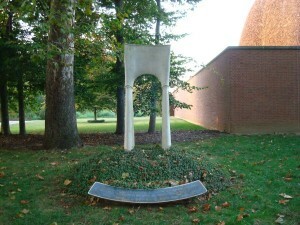 It was commissioned for this south-east wall of The Roofless Church in 1968, and its dedicatory plaque is close by the base of the sculpture. 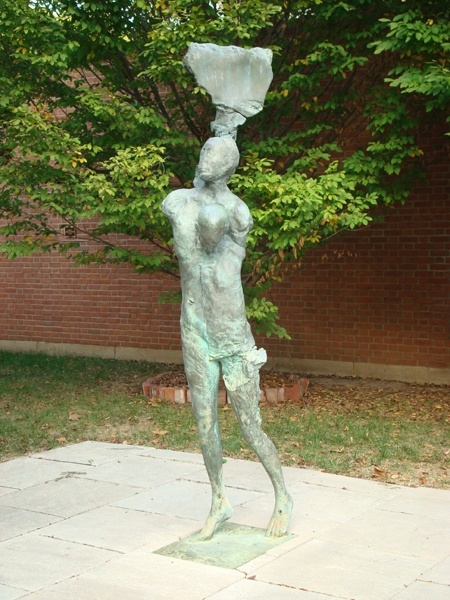 Located in the east end of the Roofless Church is this bronze figurative work, finished in 1988, by internationally known California artist Stephen de Staebler. It is also called Death and Resurrection.